Every day now, the pressure is growing on British Prime Minister Theresa May to abandon her ‘Chequers’ Brexit proposal which she wishes to present to the EU next month (but which must get approved by the British parliament first). Whereas yesterday Ms Emily Thornberry, co-leader of the main opposition party Labour, warned that they would be voting against her plan, today another powerful political figure spoke up. 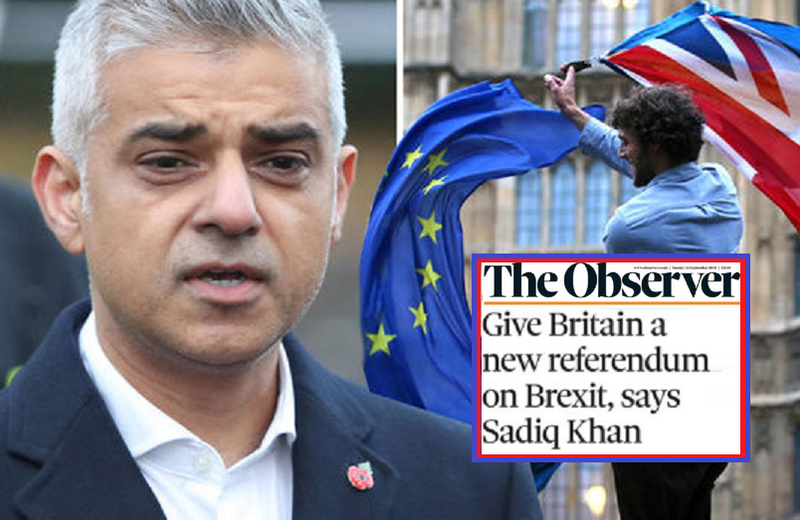 This time round, it is London Mayor Mr Sadiq Khan who claims to have changed his mind about a second referendum in the past months whereas the powerful Labour politician (who tried to reason people during the Brexit campaign to ‘remain’) stated after the original vote (in 2015) that he would respect the outcome. He added that another public vote was “never inevitable” or “something I ever thought I’d have to call for”. Related coverage: <a href="http://thegoldwater.com/news/37120-Brexit-Exit-Theresa-80-Tory-MPs-And-Opposition-Labour-To-Vote-Against-PM-May-s-Plan"> Brexit Exit Theresa? - 80 Tory MPs And Opposition Labour To Vote Against PM May’s Plan</a>. As his comments cause quite a stir, he was invited to the BBC’s Sunday political talk show with Andrew Marr to explain. Asked why he would consider such a risky approach (the Brexit deadline is March 2019), Mr Khan said the UK was left with two "incredibly risky" possibilities. "Both these scenarios are a million miles from what was promised during the referendum campaign, only further exposing the lies and mistruths sold to the public."